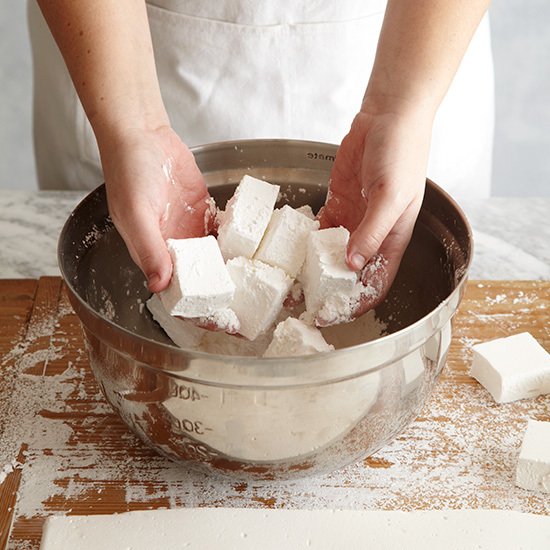 Making ethereally light, fluffy marshmallows is incredibly easy thanks to our handy step-by-step guide. 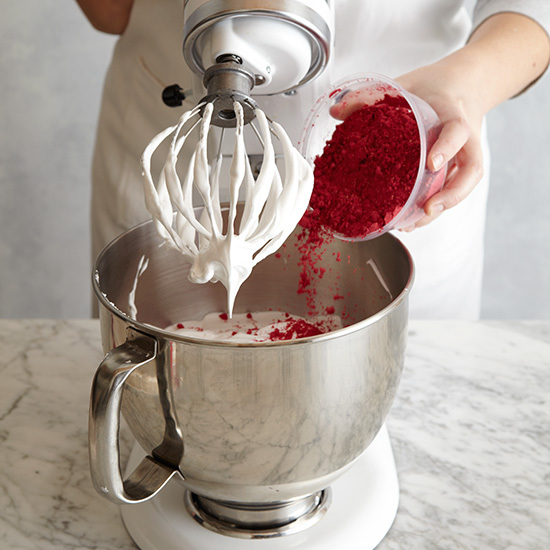 You can also give them a twist by adding freeze-dried powdered fruit, like mango or raspberry. 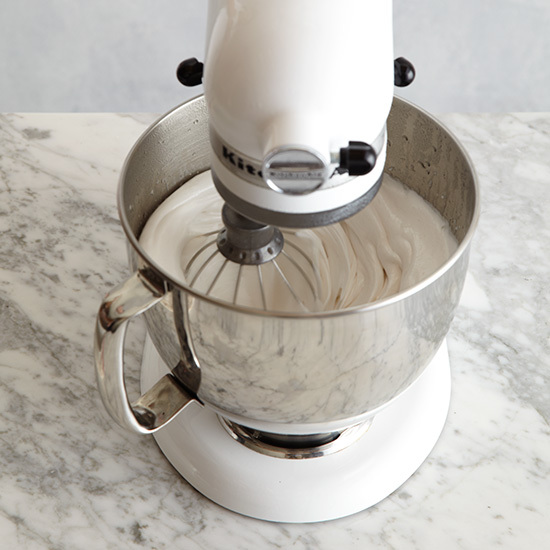 In the bowl of a standing electric mixer fitted with the whisk, add 6 ounces of cold water; sprinkle with the gelatin and let stand for 10 minutes. Meanwhile, in a small saucepan, combine the sugar, corn syrup, honey, salt and 4 ounces of water. 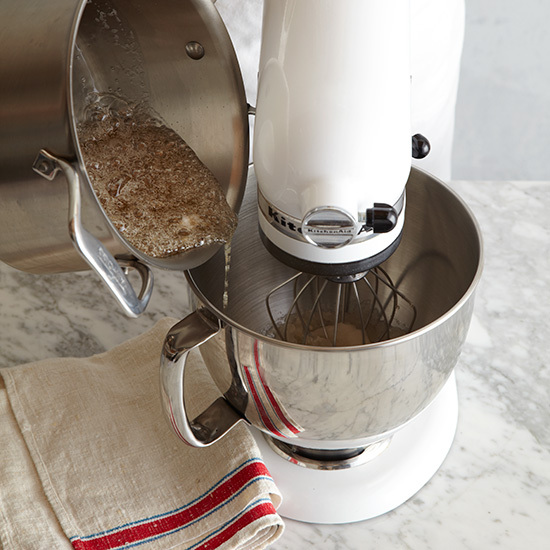 Cook over low heat, stirring occasionally, until the sugar is dissolved. 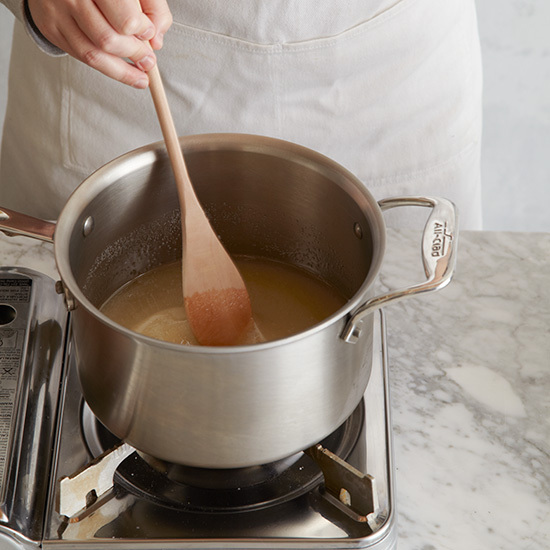 Bring the mixture to a boil without stirring. 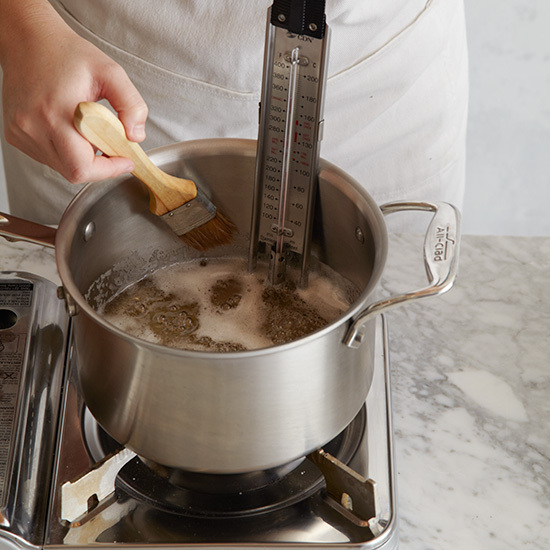 Continue to boil, brushing down the side of the pan occasionally with a wet pastry brush, until the sugar mixture registers 250° on a candy thermometer. 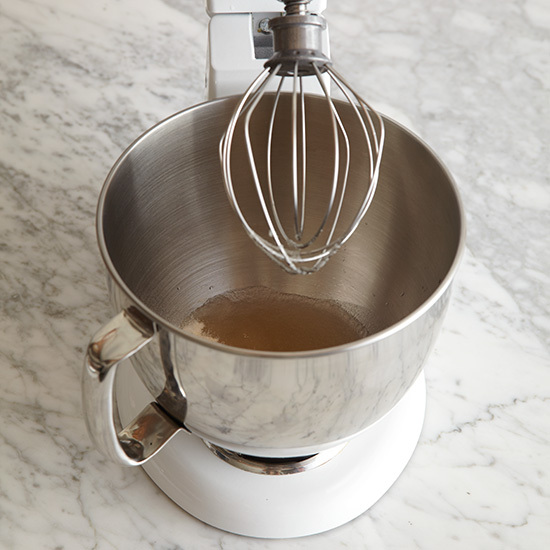 With the stand mixer at low speed, slowly pour the hot sugar mixture into the gelatin mixture. Increase the speed to high and beat until the marshmallow mixture is thick and shiny, about 10 minutes. 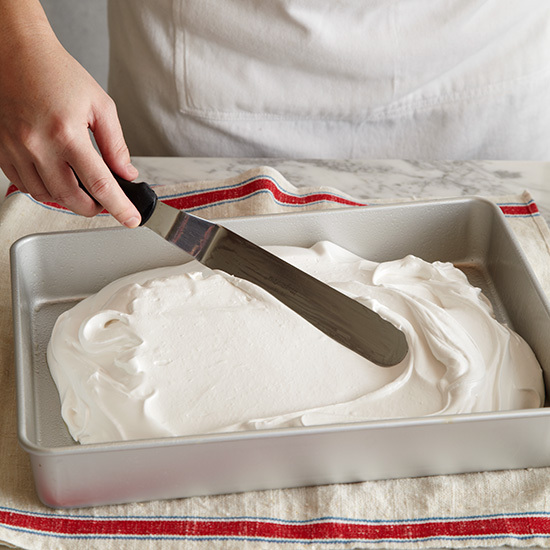 Scrape the marshmallow mixture into the prepared baking sheet. If using the powdered fruit, add half of it to the mixture and beat until well combined. 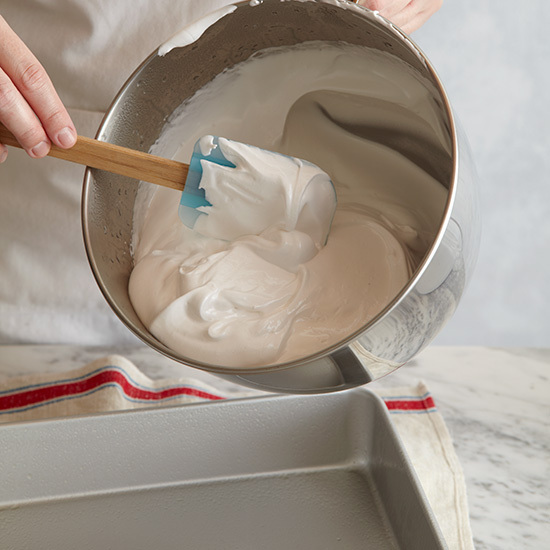 With a lightly greased spatula, spread the marshmallow mixture in an even layer. 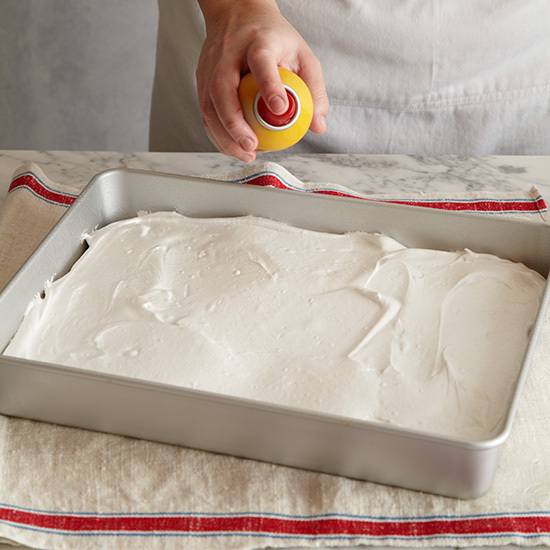 Spray the surface of the marshmallow with cooking spray. 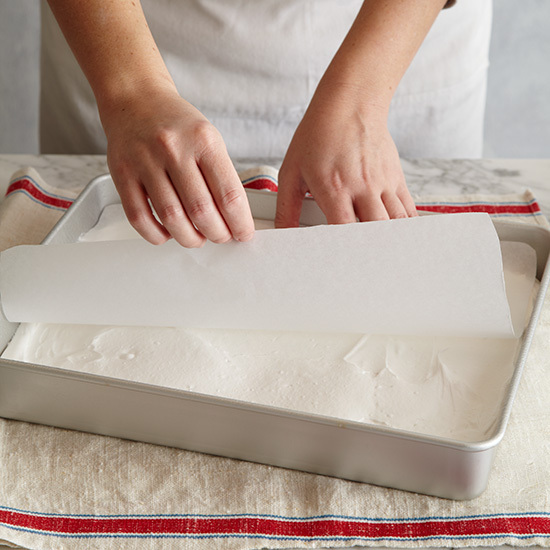 Cover it with a sheet of parchment paper. Let stand until set and firm, about 3 hours. 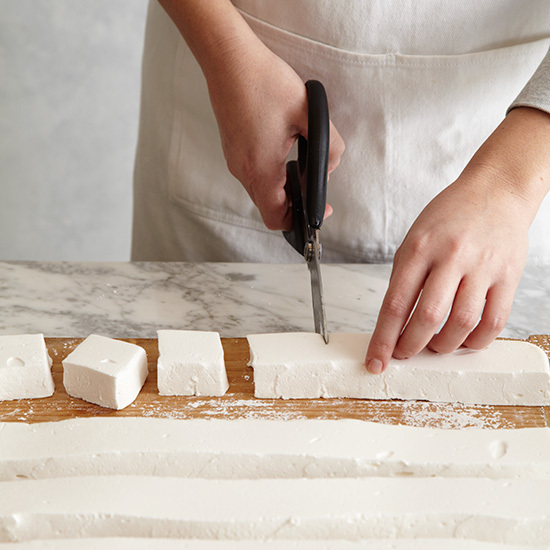 Using a lightly greased knife or scissors, cut the marshmallow into 1 1/2-inch strips. Cut each strip into 1 1/2-inch squares. 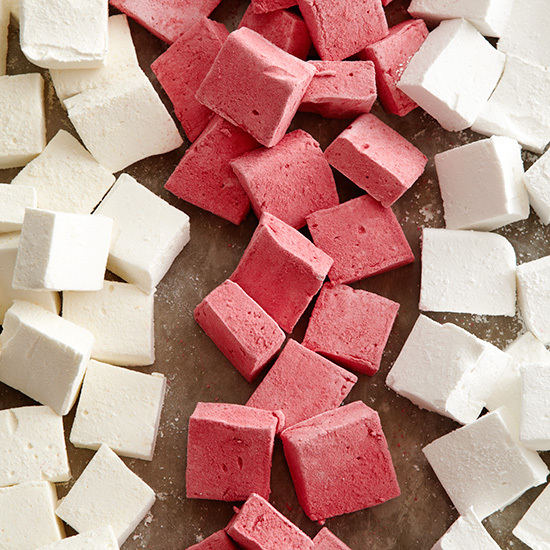 Toss the marshmallows in the sugar mixture to coat.